Another week is in full swing! Did anyone else feel like the weekend wasn't quite long enough? Today I'm back with another outfit post featuring a flowy dress I've just added to my wardrobe. I fell in love with this dress when I visited one of my favorite local shops, Montrose & George. It's made by PS The Label, which I hadn't previously heard of, but they make some beautiful pieces. The material is so soft, almost silky, and I love the lilac color. I paired it with my trusty wedge heels and vegan leather bucket bag for an understated, casual look, keeping with that boho vibe. I kept my hair in loose waves to play up the carefree, effortless aspect. Dress - PS The Label ./ Shoes - American Eagle Outfitters./ Bag - Street Level. This outfit looks so lovely on you! 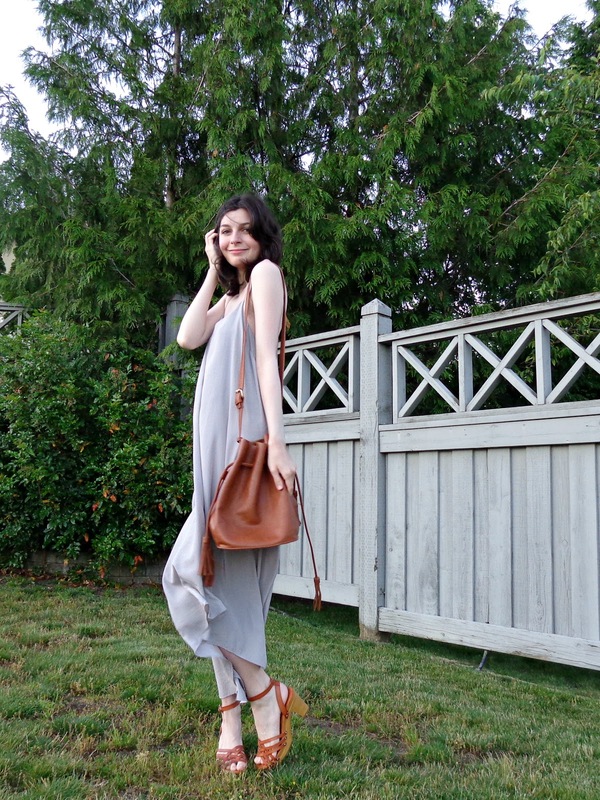 I am such a fan of maxi dresses and I love how minimalistic and chic this one is - such an effortless look. This dress looks so lovely on you! If you need short formal dress, see homecoming dresses 2017 here.